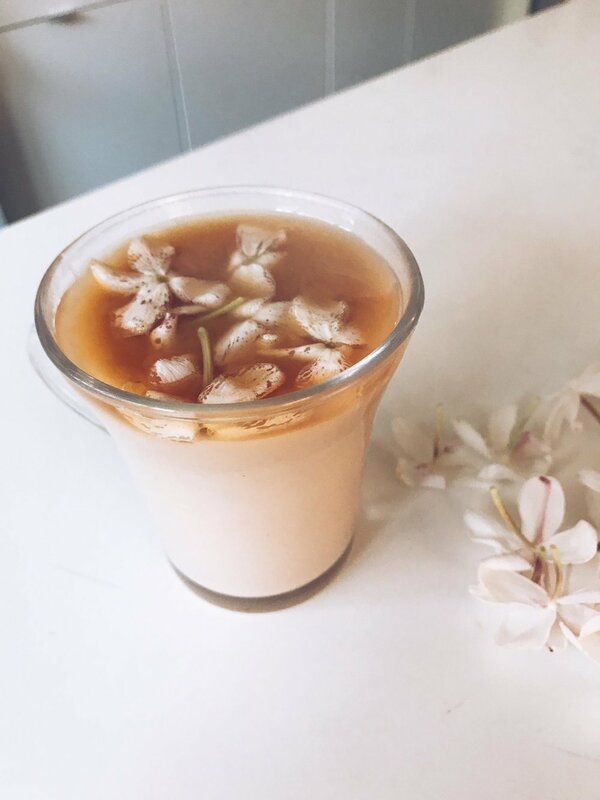 The following loose recipe and photo instructions are on how to prepare Maggie Mahboubian's beautifully flavored jasmine tea that she prepared for me and my daughter during our Meet + Eat. 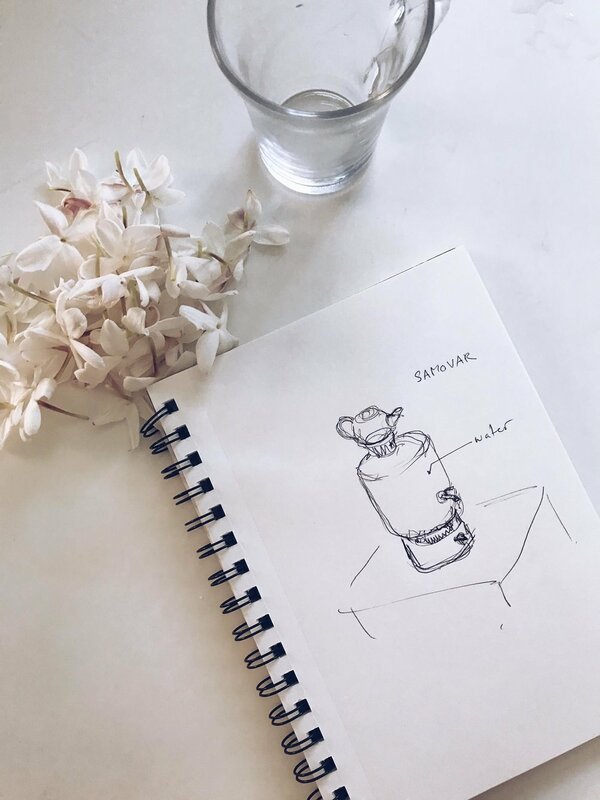 She took a moment to illustrate what a traditional samovar looked like, which is how true Persian tea is prepared and kept warm for all-day drinking. For this recipe, I did my best to capture for readers how to prepare it using a makeshift samovar using a porcelain teapot and a tea kettle of simmering water. You can read more about Maggie and my visit to her home studio HERE. You will need a porcelain teapot, a tea kettle, and possibly a small pot of water. See instructions below. 1. Boil water in a tea kettle. While that is coming to boil, place the tea leaves in the porcelain teapot. Once the water has reached a boil, pour boiling water into the porcelain teapot. 2. Put the lid on the teapot. 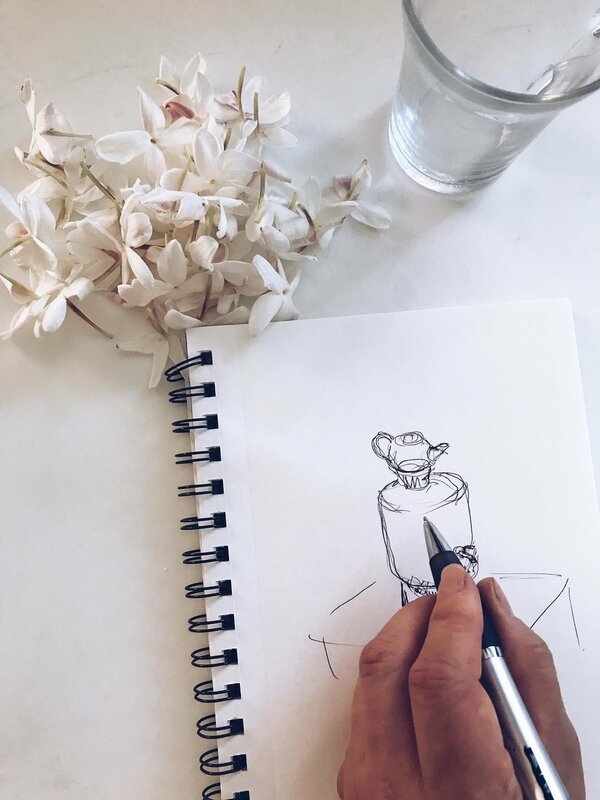 Next, if your tea kettle has a lid that can be removed, take off the lid and place the porcelain teapot on top of the tea kettle to keep warm and steep the tea leaves. (You may need to add more water to your tea kettle and place it back on the flame/heat). Alternatively, you can set the porcelain teapot on top of a smaller simmering pot of water. The heat from the simmering water in the tea kettle or in the pot, keeps the porcelain teapot warm so that you can use the tea concentrate all day. 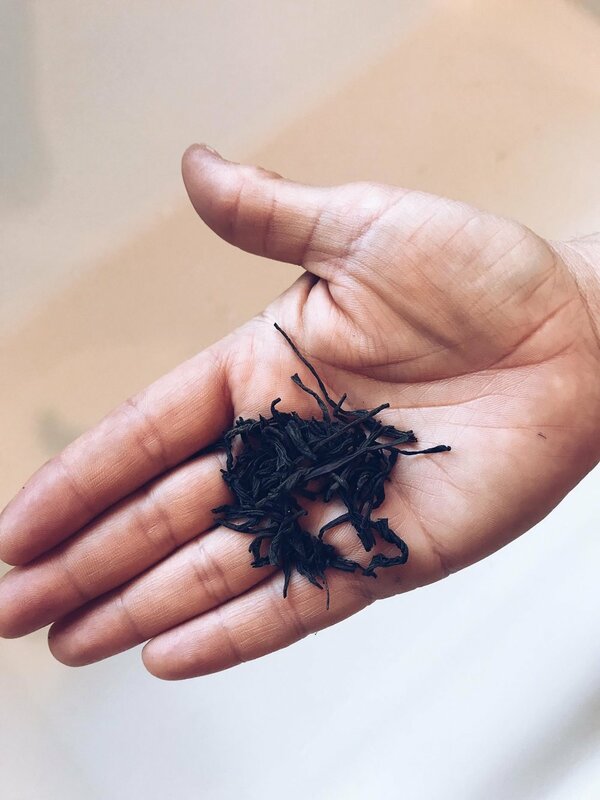 Maggie said this method does not taste bitter and that it actually breaks down the tannins in the tea. 3. 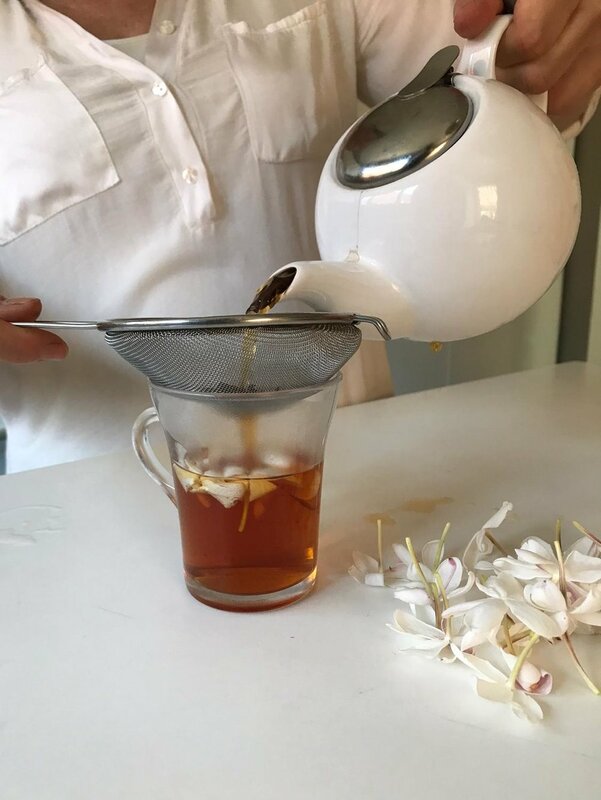 To serve, place a few jasmine blossoms in a cup. 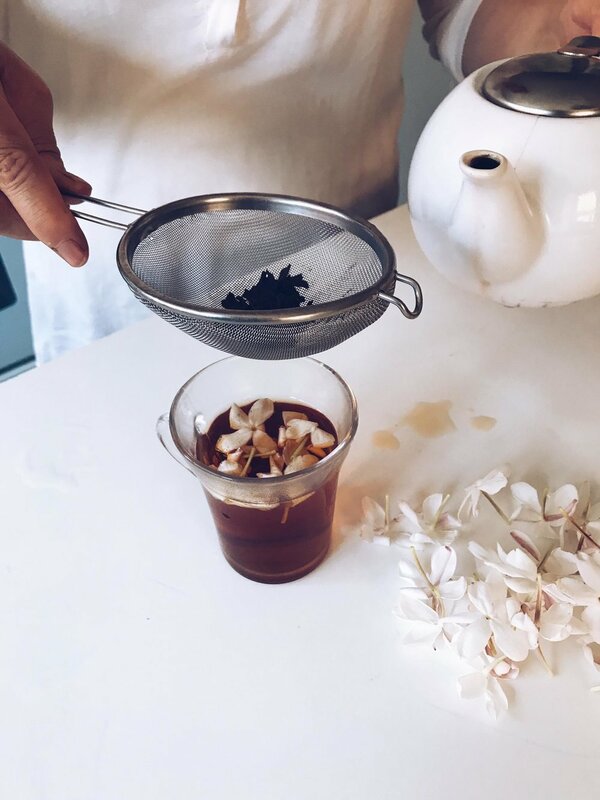 Using a mesh strainer to catch the tea leaves, pour some of the tea concentrate from the teapot into your cup (about a quarter of the way up). Then, top with boiling water to dilute it to your desired strength. You can add milk of your choice, honey, and/or sugar to taste. Maggie said if you don't have access to fresh jasmine flowers, you can substitute orange blossoms, also mentioning that dried jasmine blossoms don't retain the same flavor as fresh.